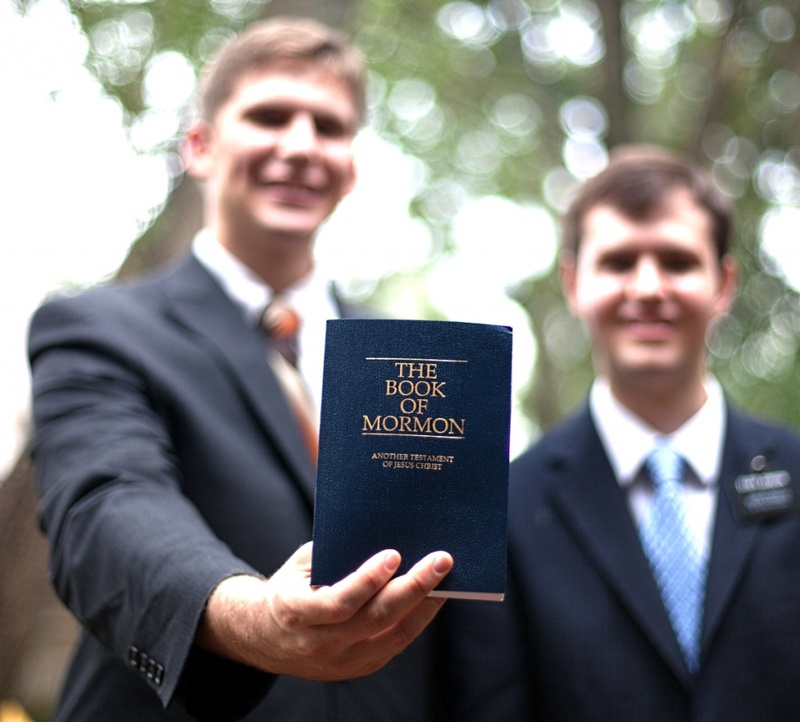 Mormons call themselves “Christians.” They say they believe in Jesus and the Bible and should be considered one of the many respected Christian denominations. However, Mormons have a serious problem if they want to claim the title of “Christian”. From the earliest days of Christianity battles have raged over orthodox theology — what is it that makes a Christian? There were a good number of tenets that distinguished an orthodox Christian from a heretical group. The Fathers of the Church, the Popes and the Councils were very clear on this. A few of the essentials of Christian doctrine were 1) the Trinity: there is one God, but God is a Trinity of three distinct co-eternal Persons, Father, Son and Holy Spirit; 2) the Two Natures of Jesus Christ, both human and divine and the fact that He is one divine person; 3) that Jesus Christ is God incarnate, the Second Person of the Blessed Trinity who is co-eternal with the Father and the Holy Spirit; 4) the revelation of Christ as preached by the Apostles is the final public revelation (which ended with the death of the last apostle) and there will be no further public revelation before the final coming of Jesus Christ (CCC 66, 73; and 5) and baptism for the remission of sins in the Name of the Father, the Son and the Holy Spirit. Mormon theology denials of all of the above. God is not a Trinity but an elevated, deified man who occupies a physical body. God was once a man like us and is now one god among many who go back to eternity past. He has a wife and procreates spirit children. Jesus was not God in the flesh but a creature, actually the son of a physical Father God and a Heavenly physical mother. Each Mormon man believes he too can become a god and have his own universe. They deny that the God whom we refer to as our “Heavenly Father” is eternal or infinite; rather, he physical and can only be in one place at a time. Mormons believe in the Great Apostasy — the unsubstantiated belief that early Christians apostatized, fell away from and abandoned the true faith — and that true Christianity was lost for 1700 years until it was recovered in 1820 by Joseph Smith. This new revelation was written down and Mormons now accept four books as the word of God. The Bible is one of the four and the only one they consider to have corruptions and is accepted with qualifications. “Heresy” is defined in the Catechism of the Catholic Church as “the obstinate post-baptismal denial of some truth which must be believed with divine and catholic faith, or it is likewise an obstinate doubt concerning the same” (2089). It could be argued that Mormons are not baptized so the “post-baptismal” qualification eliminates them. However, Joseph Smith denied historic Christianity (Trinity, dual natures of Christ, etc.) and accepted new revelations that contradicted and denied Christian truth. His teaching was heresy. The word “heresy” originally came from Latin hairesis meaning “choice” or “to choose.” In other words, heresy is abandoning the truth to make another or your own choice, a choice to believe something contrary to orthodox Christian doctrine. Among Evangelical Protestants the word “cult” usually refers to a religious group claiming to be Christian but denying the essential doctrines of historical Christianity. These would include Mormons, Jehovah’s Witnesses and other such groups that deny the essential tenets of the Trinity, divinity of Christ and the personhood of the Holy Spirit and more. Thus, the term “cult” is applied to Mormons. So, it is no surprise that while speaking to his congregation Pastor Robert Jeffers referred to Mormonism as a cult. It is certainly consistent with Evangelical teaching. He was using the word in the context it is understood in Protestant circles. Outside of Evangelical circles the word “cult” has a wider meaning, such as a system of religious veneration and devotion directed toward a particular figure or object; a relatively small group of people having religious beliefs or practices regarded by others as strange or sinister; a misplaced or excessive admiration for a particular person or thing. A lot of groups would fit within these categories. Catholics use the word in the wider senses. Even the devotion to a saint is often referred to — without a negative connotation — as the “cult of so-and-so.” In this wider context it means religious devotion toward a person or object, such as to the Cross, the Holy Face of Christ, the Eucharist, etc. So cult can be used either positively or negatively by Catholics, though in popular Protestant thought it is usually negative. The word “cult” is somewhat subjective regarding religious groups. But the word “heretical” is less ambiguous. 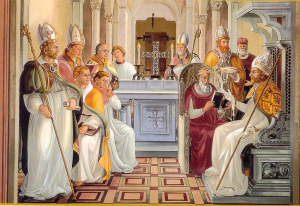 While one can argue whether Mormons are a cult or not, it is clear that they are a heretical group compared with the historic Catholic faith. Doctrines like those held by Mormons were called heresy without apology by the Church Fathers. They fought — often to the death as martyrs — against teachings similar to those held by Mormons. The question of whether a Mormon would make a good president or not is a completely different discussion. For a great discussion on this matter, listen to Al Kresta’s commentary. At this point anyone would be better than the man in the White House today in my opinion. Here I only wanted to discuss the words “cult” and “heresy” in the context of Mormonism in relationship to historical, Catholic theology. Even though Mormons tend to be good moral people and there is much we can agree with them on, in this context Mormonism is definitely heretical in contrast to the Catholic faith. Mormons are NOT Christians according to the historical and Catholic definition of Christian. Joseph Smith was not a true prophet. Mormonism is a false religion and is heretical. Do Evangelicals also refer to the Catholic church as a cult and our teachings heresy? STEVE RAY HERE: It all depends on the group. Some consider the Catholic Church a big cult, others think of it as simply another denomination. There are a lot of different Evangelical groups and they have a wide range of beliefs. Bottom line is that many of them would consider the Catholic Church a cult or at least a group with cultish tendencies. sorry for the typos. Typed too fast :-) I also think this is a wonderful site for anyone wanting to onvert or just know more about being a Catholic. You offer an excellent rationale for Mitt Romney not being President of the United States. I cannot fathom how a leader of a heretical church could even be considered for Presidency of the United States of America. You completely lose my respect when you state that “anyone” would be better than the current President. If this statement is based, even in part, on racism, your claim of being Roman Catholic is suspect. Why is it that when someone opposed the president it is assumed it is racial. What nonsense. There are many black people that would make EXCELLENT presidents (J. C. Watts, Allen West to name a few). Would you rather have a great Mormon doctor or a lousy Catholic doctor do brain surgery on your wife? If it is a contest between Obama and Romney it is not even a choice. Saying “anyone would be better than Obama” it is a figure of speech that intelligent people will understand. Even at this point a shoe would be better than Obama – it would do far less damage. I can’t vote for a Mormon. Sorry. Mormons hold that the Bible is flawed; that God was a flesh and blood man; that the Holy Ghost is a God (not part of the Trinity); that the God of the Old Testament is Jesus. For all of these reasons I can’t vote for a Mormon. STEVE RAY HERE: I don’t like the heresy of Mormonism either, to to not vote for Romney is TO vote for Obama. One must vote the least of evils and pro-life. I think you should do more research on Mormons before deciding what we believe. We don’t think the Bible is flawed we just believe that it can be interpreted incorrectly. We do believe God has a body of flesh and blood, but he is still a divine being far more perfect than we can ever be. The Holy Ghost is part of the Trinity, or as we call it, the God Head. We don’t believe that the God of the Old Testament is Jesus, we believe that the Lord of the Old Testament is, and yes there is a difference. All I ask is that you learn more FACTS before making up your mind about Mormons. STEVE RAY HERE: DAISY, YOU MAKE AN ASSUMPTION I HAVE NOT STUDIED AND DONE MY RESEARCH. I HAVE. MORMONISM IS A STRANGE RELIGION THAT DOES NOT EVEN RESEMBLE CHRISTIANITY EXCEPT THAT YOU USE **OUR** WORDS BUT HAVE GIVEN THEM NEW MEANINGS. FOR YOU, THE GOD OF THIS UNIVERSE IS ADAM AND EACH MAN TODAY CAN HAVE HIS OWN UNIVERSE AND PEOPLE IT WITH HIS OWN CHILDREN. THERE ARE MULTIPLE UNIVERSES AND MORMONS HAVE NO EXPLANATION FOR WHAT IS THE FINAL REALITY BEHIND ALL THE MULTIPLE UNIVERSES. YOU DO NOT BELIEVE IN THE TRINITY AS TAUGHT BY HISTORICAL CHRISTIANITY BUT IN A WAY THAT IS BIZARRE WHEN COMPARED TO HISTORICAL CHRISTIANITY. MORMONISM BELIEVES IN A GREAT APOSTASY IN WHICH CHRISTIANITY LEFT THE TRUTH VERY EARLY ON AND IT WAS RESTORED UNTIL JOSEPH SMITH CAME ALONG 1800 YEARS LATER. IN THE MEANTIME — NO ONE KNEW ABOUT GOD OR SALVATION? THE WHOLE THING IS BIZARRE AND CAN BE DEMONSTRATED TO BE CONTRARY TO THE BIBLE AND HISTORICAL CHRISTIANITY. In the meantime, we have a president, Barack Hussein Obama, who is a Muslim Marxist and worships Allah! It is only because he uses “Taqiyya” ( a principle of lying for the sake of Allah) that he even allows himself to say he is a Christian. His goal is to destroy America and replace Christianity with Islam. Our Constitution would be replaced by Sharia law, which kills people who don’t believe in Mohammed and Allah! While you may disagree with Mormonism, they are very moral, loving and giving people. They worship God and say Jesus is their Savior. Romney is NOT proselytizing to convert Americans to Mormonism, but simply to serve as president of our country! He is well qualified to do so and can possibly turn our collapsing economy around. You are NOT voting for the pastor of your local church, but a leader of our country! By not voting for him, you are reelecting Obama, who definitely threatens your religion and your life! Wake up, America!! Funny. For the author to state anyone would be better than Obama speaks to the FOX news hate machine in overdrive. I have heard the same arguments from the pulpit. As to Mormonism being a cult, the Catholic church has ALWAYS been clear that it is a CULT, until Obama was challenged by Romney. Then ANYONE, even a cultist is a better choice. And as history reminds us, ANYONE includes many EVIL people including followers of cults. As a Catholic, I have many reservations about Obama, but he still gets my vote. Romney is clear about CHOICE, he chooses whatever position will get him elected. He was pro abortion in the liberal Catholic state of Massachusetts. Any religion that has sweat shops who designs special underwear….and also rewuires you wear their garment….is sorry….a CULT!!!! Last I checked Catholics don’t bang on doors begging you to join their church either. REAL religons don’t beg you….you go to them. I have tried to educate myself on lds theology. It is very difficult to do. Often, one must rely on second hand info and hearsay. Many dissident mormon sites appear to more subjective than objective. That it is so difficult to expose true mormon theology and history should be a huge red flag to people. To protestant fundamentalist,particularly evangelicals,who’s only authority is scripture and their particular take thereof,make an honest and objective investigation into the history,liturgy and practices of the early chronicals of the church,what was considered heresy and what was not,and one cannot help but seriously reflect on the authenticity of Catholicism. Anything outside of orthodox Christianity and its church is heresy and must be ostracized. End of discussion. And what, mormons except homosexuality for popularity? Not even worth of my rage. Anything that ‘claims’ with their own voices because a)they want different things b)they are incapable of following the already set laws and orders to be ‘true’ is heresy. ‘We want different things’ or ‘I don’t like that, I’d rather choose this and you can say nothing about it’ is the source of all deviation. It is because they have no heart to accept others, but they are so full of themselves they only believe what they want to believe. They just have no hearts. First of all we don’t believe that we will one day have our own universe so do some more research before you start thinking we don’t believe in Jesus or God.